Cardio exercise has been vilified, glorified and ignored by fitness gurus. For the average recreational exerciser the cardio controversy can be confusing and at times even discouraging. The primary cardio argument centers around the effectiveness of high intensity cardio exercise versus low to moderate intensity exercise. Moderate intensity cardio is what most people think of when they hear the term cardio. Moderate intensity cardio generally involves performing a repetitive movement at a steady pace for a sustained period of time. High intensity cardio can involve several movement patterns performed at the fastest pace possible for a short period of time. Many high intensity cardio workouts take the form of high intensity interval training (also know as HIIT). HIIT workouts use intervals to elicit a high intensity level from the exerciser. The trainee will typically alternate between 20-60 second bouts of extremely difficult fast-paced exercise, with 10 seconds – 2 minutes of recovery or very low intensity work. A good example of a HIIT workout would be a high intensity interval of sprinting followed by a low intensity interval of walking or light jogging. Which is better? 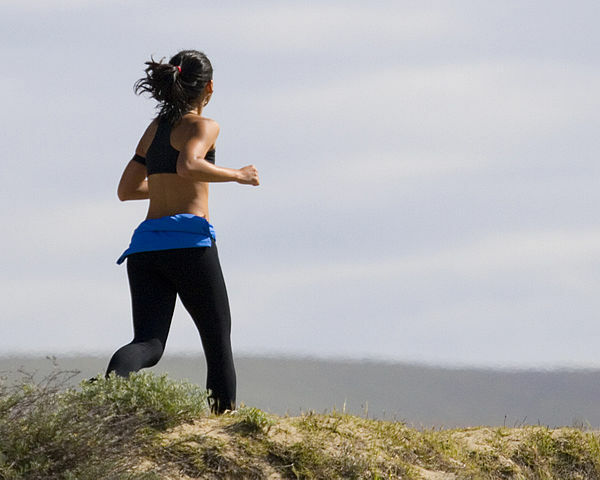 High intensity cardio or moderate intensity cardio? The problem here is that we are asking the wrong question. We should be asking: “what type of cardio will help me achieve my goal?” Both high intensity cardio and moderate intensity cardio deliver different benefits. According to exercise science researcher Len Kravtiz, Ph.D., research studies have found that higher intensity cardio exercise is more cardioprotective than less vigorous cardio workouts. This means that higher intensity cardio does a better job of preventing cardiovascular disease. The mechanism that creates these cardioprotective effects has not been identified. Researchers Swain and Franklin theorize that high intensity exercise’s influence on the nervous system may play a role. Regular exercise reduces the the response of the sympathetic nervous system, the division of your nervous system that responds to stress with the “flight or fight mode.” While at the same time, regular exercise seems to boost the parasympathetic nervous system (the division of nervous system that relaxes the body.) This adaptation in the nervous system might improve heart health. High intensity cardio, HIIT workouts in particular, increases muscle growth. Increases in lean mass will have a lasting impact on your metabolism. Muscle is metabolically active so even a rest, a body that has more muscle mass will burn more calories then a less muscular body. Moderate intensity cardio can be useful in helping your body recover from the demands of more rigorous exercise. Certified personal trainer Charlie Cates recommends that trainees participate in moderate intensity cardio workout on their days off from rigorous training. Cates suggests that you do 20-45 minutes of exercise that keeps your heart rate between 120-130 beats per a minute. By keeping your heart rate at this moderate level you stimulate the parasympathetic nervous system and avoid triggering a sympathetic nervous system response. Including workouts that are focused on stimulating the parasympathetic nervous system can help restore your body so that it can perform optimally during more intense training sessions. High intensity and moderate intensity cardio workouts can enhance your health. Thus, it is in your best interest to include them both in your fitness plan. If you are a recreational exerciser who is focused on staying lean and healthy you can’t go wrong with using a combination of HIIT workouts and moderate intensity cardio workouts. Twice a week do a 20-30 minute HIIT workout. Be sure to warm-up properly and wait at least 24 hours before doing another high intensity workout like HIIT or strength training. At least once a week spend 30-45 minutes doing a moderate intensity cardio workout. Keep your heart rate between 120-130 beats per minute. Do not do any vigorous exercise on this day. The idea is to give your body a break and promote recovery. If you are looking for a good HIIT workout read The Best HIIT Workout? The 10-20-30 HIIT Formula.